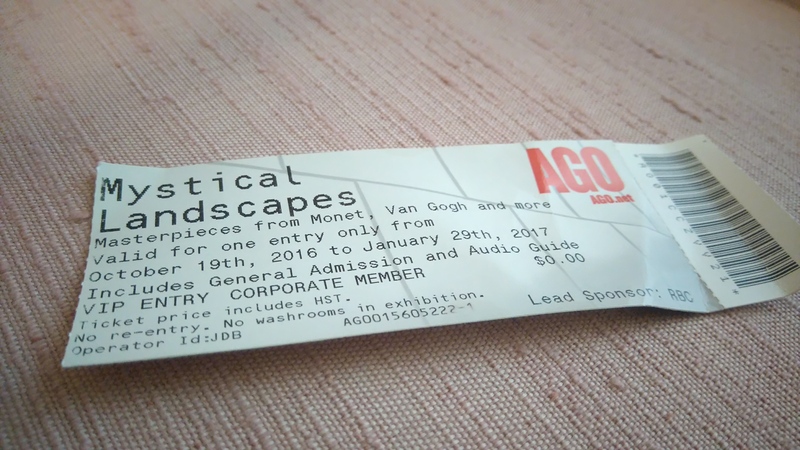 A wonderful adventure awaited us as we had the opportunity to go and see the Mystical Landscapes exhibit at the Art Gallery of Ontario together with the Sisters. Not only did we have an insightful talk from the Curator of the Exhibition, Katharine Lochnan about the planning and organizing behind all of it, we also got VIP tickets. I was excited. I knew some of the names of the artists; that made it all the more thrilling. I’d already seen some of the originals by two of the giants who would be there: Gauguin and Van Gogh. Of course this was going to be exciting, seeing originals by them again – and not only them – but also by great Impressionists like Monet and others. I am not going to attempt to describe any of the actual artworks in words, for I will most certainly do them a great injustice by doing so. Instead I will focus on my experience and the lovely day we all had. It was delightful traveling down from the convent to the AGO in four cars; Sr. Elizabeth also did a very impressive parking maneuver down in the underground parking lot. It was a chilly day, but thankfully we were soon warmed up by enjoying some hot beverages inside the building. The time came for us to see the exhibit and peruse the artworks at our own leisure. Even though it was teeming with people, there was a curious calmness about the whole experience. 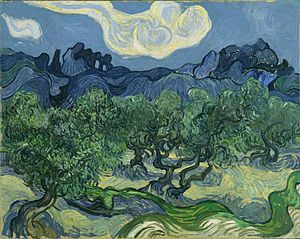 I was drawn in by two works in particular: both by Van Gogh (Starry Night Over the Rhône and The Olive Trees). It was almost as if I became instantly happy by simply staring at these paintings. The mystical aspect of the exhibition was interesting to contemplate in light of what we Companions are experiencing this year at St. John’s Convent. Personally, I felt very moved by the sense of community when travelling together, having a meal together, and sharing in the experience of viewing magnificent artworks in a prayerful atmosphere. Many had interesting insights to share afterwards as well. I am grateful to everyone who was involved in organizing this event for us – it was truly memorable and meaningful.